You would have to be joking, I can only just squueze in as it is. any lower and I wouldn't own ANY S-30's! Yeah, you and me both Mike. It's just perfect for me the way it is, and my Dad had no trouble with headroom and he was 6'4". Alan,thank you for your transrate as usual.And we could have been meeting in KANSAI airport! !Next time you have to stay at my home!! Nate and 59ghia,I did not know that YAMAHA is well known in the U.S.Taurus has YAMAHA V6...that surprised me.Did you know the YAMAHA's emblem shows three tone tuning bars? 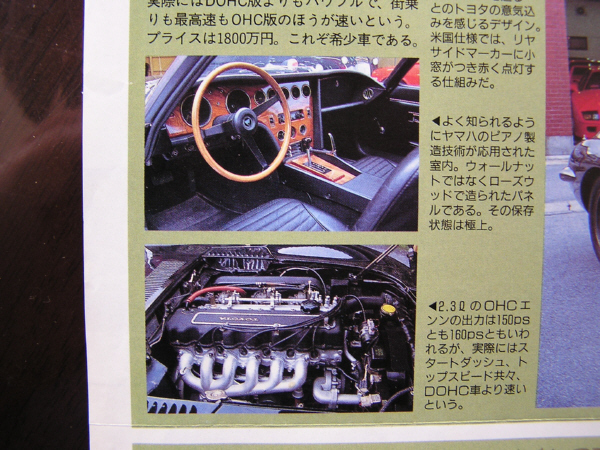 dadds,thank you for your wonderful informations.Yes,2000GT was co-oparated with Shelby,I saw the car in some jamanese magazine.It is very cool. What a informative and enjoyable website you found,dadds! !It is amazing. Alfadog,I simply smiled when I saw your work of art.Well...lower roof for 240Z is so so for me. Like 2ManyZs and Mike and Zkid said, I think low roof is a big matter for westerners.GT40 and Lotus europe,I can not believe thay can get into the cokpit. Back to S30's height argument, Mr.UEMURA and his team got the average height of the U.S. airforce officer.The average data of 15,000 officers.Mr.UEMURA used this data to persuade Mr.MATSUO. Mr.UEMURA could offer so much hard work of chassis design to reduce height as lower as he could,to make Mr.MATSUO happy and not to destroy body styling. Finaly Mr.MATSUO accept the 97.5% concept,he accept 2 inch lower not 3 inch,Mr.UEMURA offered to solve 1 inch by chassis design. Yamaha is quite popular in the US. Besides the obvious (motorcycles, ATVs, Waverunners) they also have a big market in musical instruments. I've got a couple of Yamaha electronic keyboards and I think both of my accoustic guitars are Yamaha (I guess that's a sure sign that I haven't played them in a while - can't remember the brand). What to do? 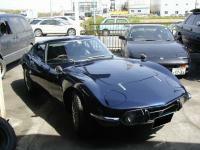 Toyota 2000 GT is soooo expensive :mad:, book about her is not cheap neither, so how to satisfy the thirst for 2000 GT ? Here is the solution for any 2000 GT enthusiast with money shortage. I happend to be invited to the Fremantle Motor museum on wednesday, so I went along. They Dont have a Toyota 2000GT, but they do have a Toyota Sports 800. Which has 2000GT style lights at the front. Tiny little 2 seater car, with a targa style roof. I didnt have a camera with me, but heres a link to the FMM site. The picture is a S800, but not a picture of the actual s800 at the museum. S800's are gorgeous little cars - one day I'd like to see one of those too!!! Man that's a cool little car! 2 cylinders and 50hp... not very useful though. But I do believe I'll add one to my my non-Nissan list. Both of these cars are so scarce that you would probably be afraid to drive one for fear that if it something broke you would have to modify or custom build the needed part. 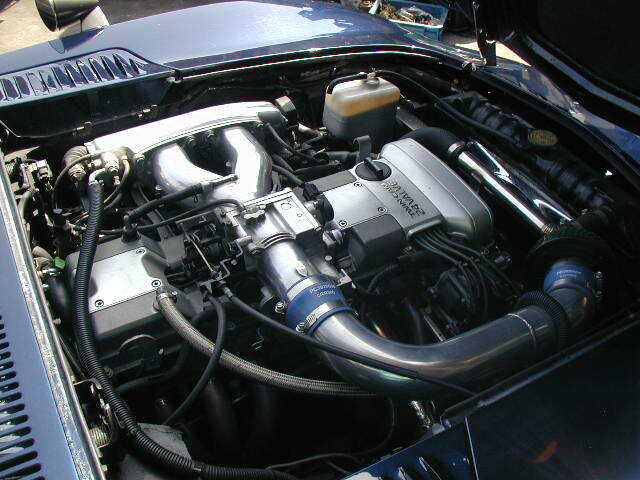 Here is a currect article from AutoSpeed, on the 2000GT-even mentions the 240Z in the first sentance! I have enjoyed a subscription to AutoSpeed for just over 2 years, and found some valuable and cost effective tidbits to work into some of my Zs. Just had to add these pictures that rolled across the roadster forum a short time ago, they clearly show the size differences between the 240Z and 2000GT. I had the pleasure of touring the Toyota Museum last month. It was a gas seeing 3 at once! That is very cool! When I was out in L.A. back in March I drove to the front gate at Toyota HQ in Torrance and instead of being let in to see the museum (not open to the general public) I struck up a conversation with the security guard who stated that even he has not been to see the musuem! One of these days I will have to make it out West with T.O.R.C. 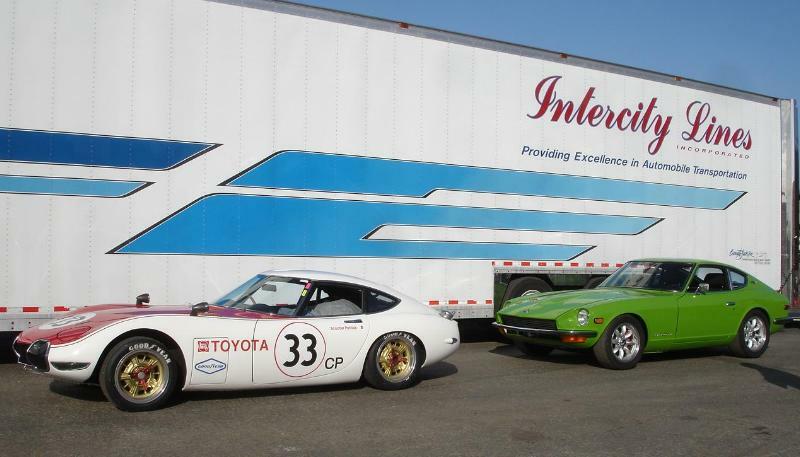 (Toyota Owner's and Restorers Club) preferably with the old '72 Celica. Only three semesters left and hopefully a move to SoCal! Old thread, good to see it alive. The pics of the 240Z next to the 2000GT are awesome, from the back it's hard to imagine a roof line so low to the ground (although obviously that's not a stock 2000GT). To each their own, but I always thought the 2000GT was a stunning design - in some ways it outshines my E-Type coupe, I would love to own one of those!!! The 2000GT is a great little car. 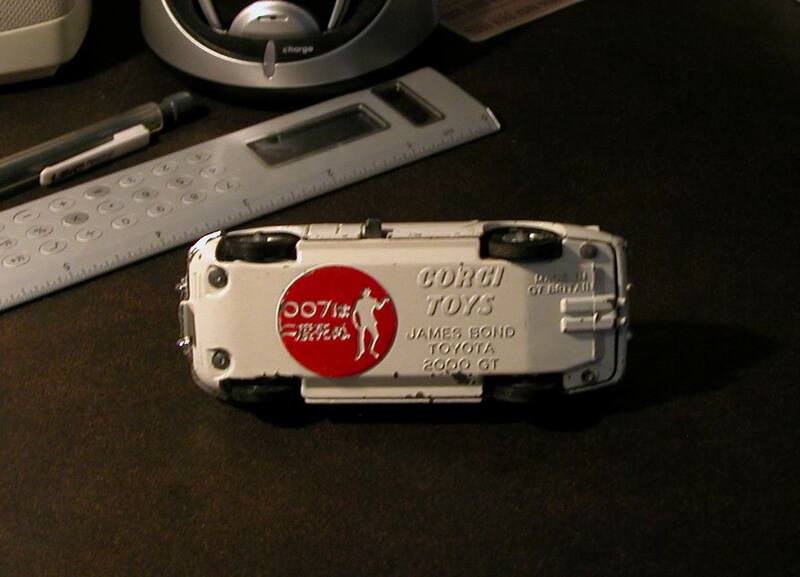 From what I understand, the convertable used in the James Bond movie, was specially created for the movie. I guess that Sean Connery was too tall for the car otherwise, so they cut the top off! 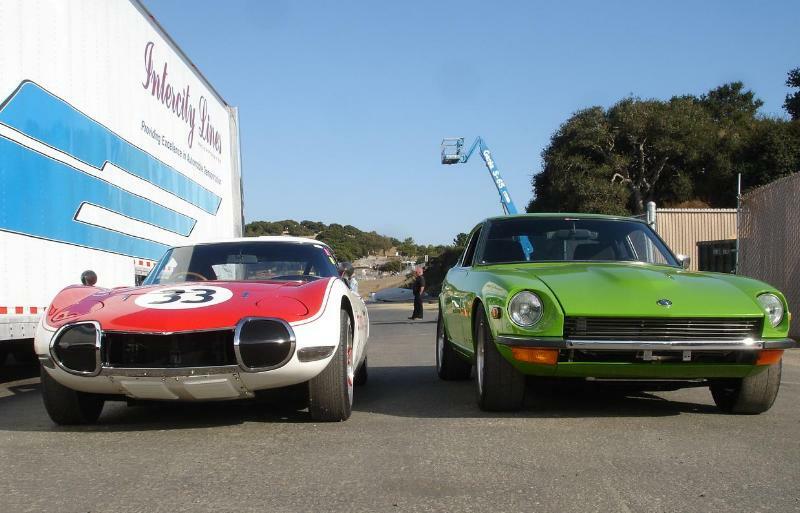 There was recently an article in Classic Motorsports about the racing history of the 2000GT. Its a pretty short article, but still a great read. Even with the top off, he could not fit behind the steering wheel! I might be in the minority here, but the James Bond convertible 2000GT is a dog compared to the coupe. Keep in mind, I am biased - I like the E-Type as a coupe, mid-year Corvette coupes, Ferrari Daytona coupes....blah blah - you get the idea. There was something awesome and mildly maturing in the 60's with respect to autos, amongst other things (music for example)...the 2000GT had such nice curves that lopping off the top almost seems sacreligious. There's an outfit in Massachusetts that is an authority on these cars. In fact, I believe they had one for sale a year or so ago for just short of $200K (in perfect condition). I sat in the one that Toyota brought out to the JCCS last year. Definately not made for someone my height (6'-2"). The movie was "You Only Live Twice". Two 2000GT convertibles were made for the movie. 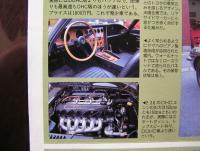 Sport Compact Car had an article about the 2000GT many years ago. Another surviving GT2000. I guess I have always been a bit of a collector. I got this one for Christmas in the late '60s when I was 8 or 9. I think the movie came out in 1967. If you're ever able to make it to a Nostalgic Heroes car show you might see alot of them. I never really was a fan but I knew they were rare. I'm pretty sure there's one in an auto museum in the basement of the mall in Daiba park in Tokyo. 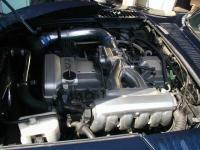 If there's a knock on the car, it's the performance (or lack thereof) - even compared to its contemporaries. 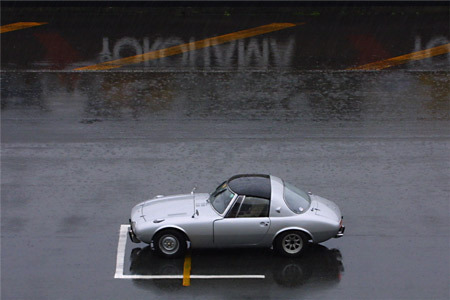 The problem Toyota had was the 2000GT was overpriced from day one. Keeping in mind the intent was for it to be a low volume product, but I don't think they intended to sell as few as they did. I believe it was about 1-2K MORE than an E-Type, which was not chump change in 1967. A comparable 1967 Corvette would dust it 10 ways to Sunday and was 1-2K CHEAPER than an E-Type. I am surprised no one has created a replica of this car given it's relatively high profile in terms of collector cars. Looks like they have about a half a dozen there between their private collection and cars for sale. Here are a couple of pictures I have of a 2000gt. I do not remember were I got them from.